CPIL, the petitioner NGO in the 2G scam case before the Supreme Court has claimed that it was five questions that were asked by the then Special Public Prosecutor UU Lalit to the CBI which forced the Central Bureau of Investigation to not file separate responses to petitions filed in the 2G case. Who has drafted these aforesaid paragraphs? Under what authority can the matter be attempted to be reconsidered? Which provision of law empowers such reconsideration at this stage? Once the public prosecutor takes over the matter and presents it before the court right from charge-sheet till closure of prosecution evidence, will it be right and justifiable for the director/department to reconsider the matter? Will such an act not impinge upon the independence of the investigating officer as bestowed upon him by the Code of Criminal Procedure? Mr. Lalit has also been quoted as saying, "Under the circumstances, you are directed not to attempt any such filing of separate replies. For the purpose of the present matter, the consolidated reply filed earlier is more than sufficient. Please treat the matter as closed. Needless to say, you are not to file any such separate replies without consultation with and approval of the special public prosecutor." As per reports, it has also been claimed in the affidavit that the CBI Director did not file separate affidavits but did enter a noting in the file. The noting has been quoted as "The special PP, however, has not opined whether the facts contained in the draft counter-affidavits are relevant or otherwise. Instead, issues have been raised which affect the basic functioning of CBI and the authority of the director. Be that as it may, since he has directed CBI not to file any affidavit with facts which may affect the case in a fundamental way, we may not agitate the issue any further at the moment. We may consider raking up this matter in the interest of justice when the new special PP is appointed by the Supreme Court shortly." In the affidavit, CPIL has claimed that "This, it is clear that the CBI director would go to any extent to save Reliance and other influential accused in the 2G case." It was Mr. UU Lalit who was the Special Public Prosecutor in the case before he was elevated as a Supreme Court judge. It was RS Cheema who had succeeded Lalit as the Special PP. However, the court had recently appointed Anand Grover as the Special Public Prosecutor. 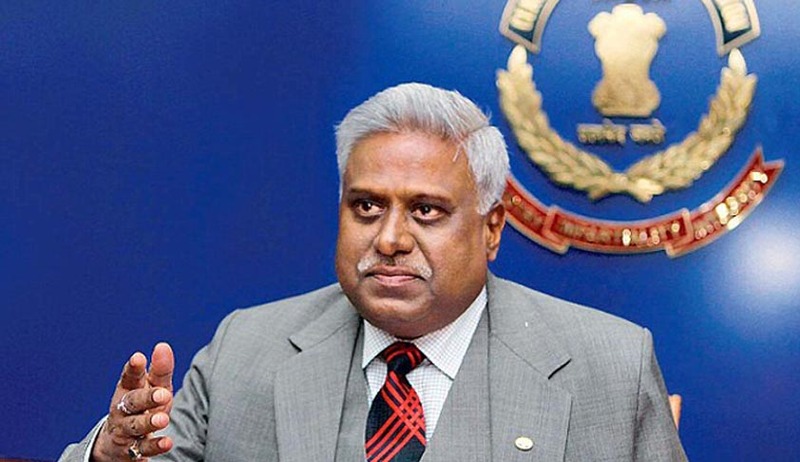 Mr. Ranjit Sinha, the CBI Director is already facing the heat regarding the visitor’s diary at his residence.